Can you believe that this year sees the fourth #HousingDay, the event which has now become a fixture in the annual calendar? #HousingDay is 24 hours when staff and tenants in social housing take to social media to celebrate their work, lives and communities. This year, the event is on the 19th September. I’ve sort of made a tradition now of organising high profile stunts on the day designed to try to bring the world’s attention to the work that social housing is doing. 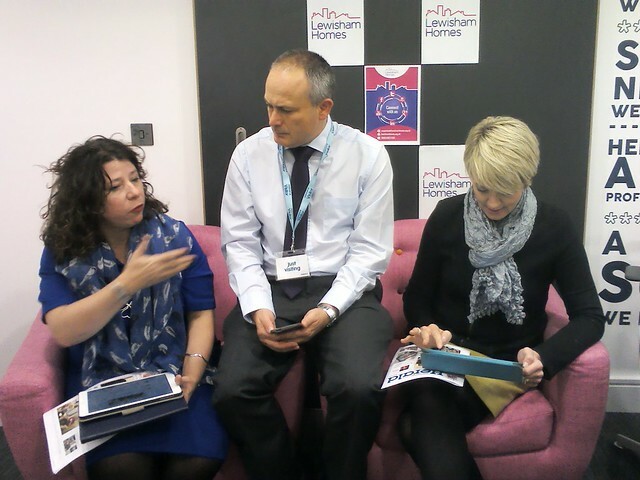 In 2014 I did the #Housing Day Roadtrip, when I drove 800 miles visiting social landlords up and down England and Wales to highlight their great work, and in 2015, I did the #HousingDay NewsRoom when I was joined by some doyens of the social housing sector to live stream hourly news bulletins about what people were doing for the day. This year I want to do something that is a little more ambitious. In fact, it might be a bit too ambitious, but I am putting the idea out there to see if there are any takers to help me make this happen. One of problems that I think besets the social housing sector is that it is guilty of talking to itself rather than to the outside world. #HousingDay is, of course, an attempt to break out of that self-perpetuating bubble, and I think it does that to an extent, but not to anything like the extent that is necessary to make a real difference. And, by make a difference, I mean get widespread support for the sector such that it becomes impossible to impose damaging laws on it, starve it of resources, and make stereotyped TV programmes which demonise tenants. I think we are still a long way from a position where we might achieve these objectives. 2016 is the 50th Anniversary of the broadcasting of the TV programme “Cathy Come Home” the play that did so much to raise the profile of the housing crisis of the time, and which led to the founding of Shelter and many of the housing associations which exist today. That was a real breakthrough moment, and it is perhaps no coincidence that the current housing crisis has caused director Ken Loach to come out of his self-imposed retirement to produce a new film. So, this is what I want to do on #HousingDay 2016. I want encourage people involved in social housing to organise Housing Film Shows, and I want these to happen in as many towns and cities as possible. I want “Cathy Come Home” to be on the bill of these shows, along with any other housing-related films people can think of. In fact, I want to challenge the social housing sector to make its own films about its work to show alongside “Cathy”. It would be great if each town and city could have its own unique film to show on the day. And I want organisers not to take “no” for an answer. I want us to move heaven and earth to get as many influential non-housing people there as possible, and I want each show to be a high-profile, media-friendly event. Can we do this? Is it too ambitious? I hope not. Your comments welcome below. And get in touch if you want to help organise shows. This entry was posted in Celebrations, Events, Housing, journalists, Local Government, Public Services, Social Housing, Social Media, Story-telling and tagged #HousingDay. Bookmark the permalink.